tonight, Punky and I were texting his teacher back and forth and they started taking pictures of themselves sleeping in various places. Punky made up his poses….on the couch reading, standing against a wall, etc. When he posed for this picture, I was smitten. This kid is 100% awesome. His sense of humor is second to none. His sweetness and innocence just exude from his pores! He is so excited for school this year! 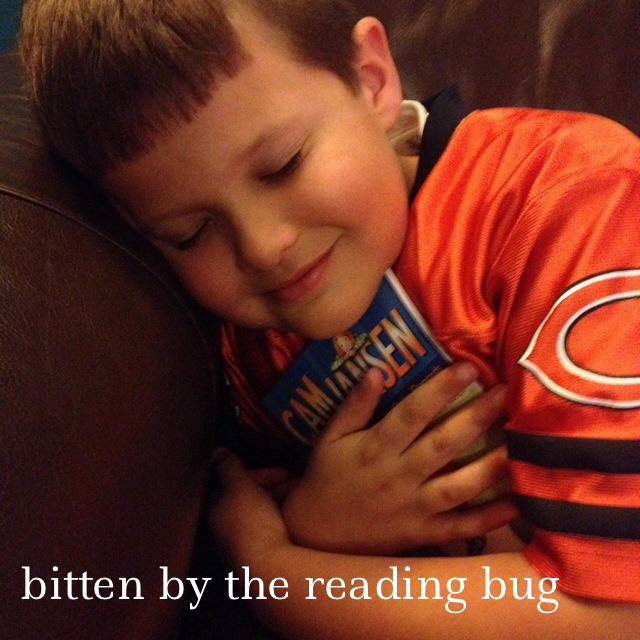 He is learning to LOVE reading (just like his mama!) almost as much as he loves MATH (so, not like his mama!). Oh oh, my ADHD is kicking is….remember this day in kindergarten! Ok, back to the point…I guess I didn’t blog much about Punky’s school anxiety issues. We certainly lost many hours of sleep in this household from preschool through first grade!